Founded in 1959, Roselle Catholic High School is located in Roselle, New Jersey, a suburban community, on a fifteen acre campus. Roselle Catholic is a faith-based school, conducted under the auspices of the Roman Catholic Archdiocese of Newark in affiliation with the Marist Brothers. We currently enroll approximately 400 young men and women. 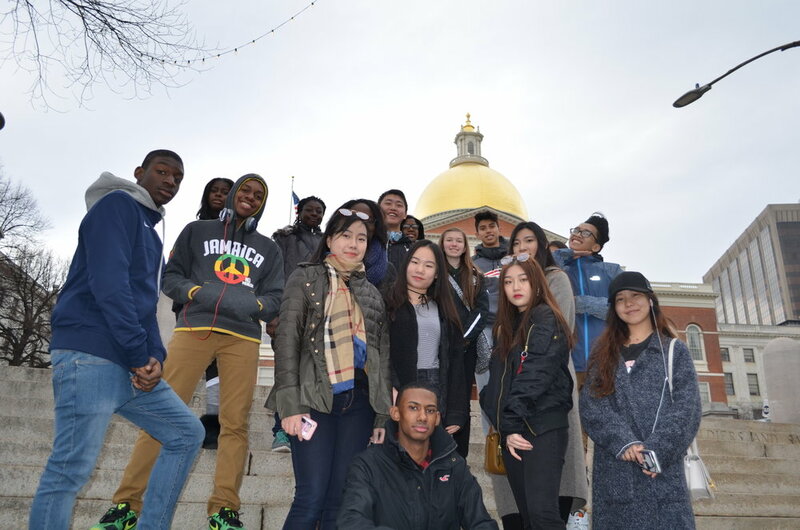 Our students represent the diverse population of the suburban and urban communities of Union, Essex, Somerset, Monmouth, and Middlesex Counties. Our curriculum is college preparatory in nature. Admission is selective and based on school records, standardized test scores, and previous school recommendations. Roselle Catholic is accredited by the Middle States Association of Secondary Schools and Colleges. It earned its most recent reaccreditation in 2011. Roselle Catholic graduates obtain millions of dollars every year in scholarships and grants toward their college careers. The Class of 2015 earned $10,300,000 in academic scholarships from a number of colleges and universities including Johns Hopkins, New York University, Rutgers, Seton Hall and Penn State. Virtually all of our graduates go on to college, some attending the finest universities in the country; for just a few examples, our graduates recently have been accepted to Cornell, Brown, University of Pennsylvania, Colgate, Notre Dame, the Naval Academy, West Point, Northwestern, Emory, Syracuse, George Washington, Penn State, Rice, North Carolina (Chapel Hill), Holy Cross, Northwestern, Boston College, UCLA, Stevens Institute, Villanova, Providence, Howard, Washington University in St. Louis, Northeastern, and Rhode Island School of Design. Every year approximately 10% of our students are designated as Advanced Placement Scholars by The College Board in recognition of their performance on Advanced Placement exams. Over 15% are admitted to the National Honor Society. Roselle Catholic students continue to take advantage of Seton Hall University’s Project Acceleration; the growing number of teachers on our faculty certified by Seton Hall as adjunct instructors has enabled our students to earn a host of college credits for their course work here, credits that are accepted by hundreds of colleges, representing a substantial savings in college tuition.